The snow is melting, spring (and baseball!) are coming, and the politics beat always runs hot. So thanks for stopping by for my weekly column. As usual, your tips and comments are welcome, and you can follow me through the week on the twitters. Here we go. 2) Gov. Gina Raimondo announced Friday she’s extending the contract for Deloitte, the vendor overseeing the troubled IT system for human service benefits system UHIP, because, she said, Deloitte is paying the state $50 million, offering $162 million in credits and improving its performance. 4) While there’s no word of a challenge to Rhode Island Democratic Party Chairman Joseph McNamara ahead of a state party meeting next Sunday, March 24, state Rep. Lauren Carson (D-Newport) plans to run for party vice chair, a post now held by Rep. Grace Diaz (D-Providence), the party’s vice chair. Carson said she’s running because she believes she can make a positive contribution to the RI Democratic Party, which, she said, doesn’t have a visible presence in the Newport area. “I would be out in the community, I would be visiting the municipal chairs,” Carson said. While it’s unusual to see a rep run for a party seat held by another, Carson is part of the ‘Reform Caucus’ and voted in favor of the abortion bill, while Diaz is a steady supporter of House Speaker Nicholas Mattiello and she voted against the abortion bill. 5) Dan McGowan’s impending exit from WPRI.com, to join The Boston Globe, marks a significant change from Rhode Island’s mediascape. While reporters from the ProJo and other local media organizations have traditionally moved on to bigger places, McGowan may remain planted in the Ocean State, even if the nature of his future beat remains unspecified for now (Globe editor Brian McGrory declined comment). Yet the Globe is planning a push into Rhode Island, and PR/communications consultant Patti Doyle confirmed she’s been hired by the newspaper. It seems unlikely an out of town paper would want McGowan to maintain his laser focus on Providence City Hall, but statewide politics may be a better fit. The Globe has already collected more than 100,000 digital subscriptions, so moving into Rhode Island could be a smart play for growth given the ProJo’s declining circulation. It would also mark a potential beachhead given how ProJo owner GateHouse Media owns papers in Quincy, Newport, Fall River and New Bedford. 5A) WPRI News Director Karen Rezendes offered this response when asked if the station will hire someone to take over McGowan's beat in Providence: "Yes, we plan to post and hire a position. As we do with every position, we will evaluate our needs. Our priority will be to cover Providence and Rhode Island." 6) The Public’s Radio is getting set to unveil its latest closeup on nearby community, in this case Pawtucket. The radio/online series kicks off Monday with a historic overview by Scott MacKay, followed by my report Tuesday am on how Mayor Don Grebien is navigating challenges ranging from the impending exit of the PawSox to the possible relocation of Hasbro. 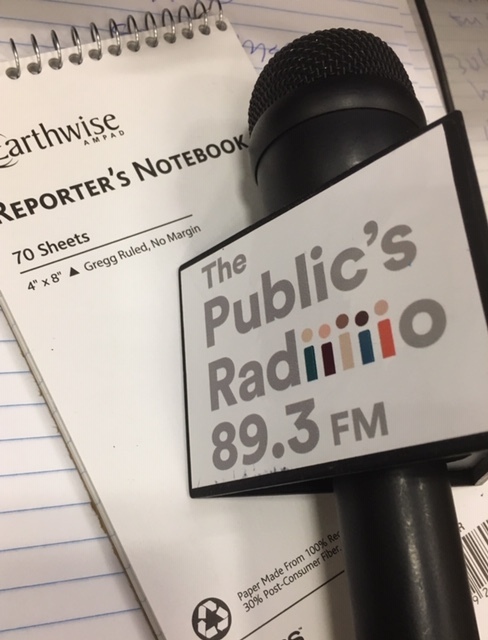 We’ll have a bunch of other stories and conversations, so listen in at 89.3 FM or visit our web site. 8) It was almost a decade ago when David Cicilline made the jump from Providence City Hall to the U.S. House of Representatives. An official portrait to mark Cicilline’s two terms as mayor of Providence somehow never got commissioned. Now, an April 14 event has been scheduled for the official unveiling of Cicilline’s mayoral portrait. Lauren Greene of the New Harbor Group said a three-person committee – three-time gubernatorial candidate Myrth York, former ProJo publisher Howard Sutton, and former Cicilline CoS Mike Mello – has worked on the project for the last year. Greene said Cicilline -- who moved up in the House leadership in January, is the only former Providence mayor to not have a portrait at City Hall. “David Cicilline is the first former mayor whose portrait was done by a Latino artist,” she added, via email. “It is also the first portrait with the Mayor outside of city hall; he is in the Latino community with downtown in the distance. The artist is Augustin Patino.” So why has it taken so long for Cicilline to get his portrait? The former state rep first won election as the anti-Cianci in 2002, but left City Hall later amid questions about his description of city finances. Be that as it may, the answer is unclear, although Cicilline’s active schedule may be a factor. 10) RI poli/media people on the move: Randy Edgar, former Statehouse reporter and deputy editorial page editor for the ProJo, before being laid off last year, is signing on as public information officer for RI’s Department of Behavioral Health, Developmental Disabilities and Hospitals …. Former state Sen. Catherine Cool Rumsey, who was ousted in 2014 by Sen. Elaine Morgan (R-Hopkinton), began work last month as a state opioid grants coordinator working with BHDDH, DLT, DOH and State Police …. Longtime WPRI-TV investigative/special projects producer Nick Domings is joining Secretary of State Nellie Gorbea’s office as public information officer. 12: Why an ER visit can cost so much – even for those with insurance. Give a listen to this conversation with Sarah Kliff of Vox, who spent more than a year investigating thousands of ER bills. 13) The RI Senate has a new plan to boost the economy. 14) While some observers consider Rebecca Schiff the front-runner to succeed Brandon Bell as RI GOP chairman – the vote is March 30 – the Gaspee Project’s Clay Johnson sees the outlook differently. 15) Travel back in time to when Hope’s was the downtown watering hole for Providence reporters, via this fun Bill Bartholomew interview with the great Jim Taricani. The conversation also covers investigative reporting, Buddy Cianci, and other pertinent topics. 16) What happened to a state official’s letter critiquing LNG in Providence? 17) Food news: Brian Casey of North Kingstown’s Oak Hill Tavern in North Kingstown is chairman-elect of the National Restaurant Associaton for 2021. He is said to be the first Rhode Island business owner to serve on the executive staff, according to Regan Communications … Meanwhile, Shake Shack is set on open on 249 Thayer Street in Providence next Wednesday. According to the restaurant’s PR outfit, Perry Public Relations, "Shake Shack is a critically acclaimed, modern day ‘roadside’ burger stand known for its 100% all-natural Angus beef burgers, chicken sandwiches and griddled flat-top dogs (no hormones or antibiotics – ever), fresh-made frozen custard, crispy crinkle cut fries and more. A fun and lively community gathering place with widespread appeal, Shake Shack has earned a cult-like following around the world."